Select the drive from the list of available Physical or Logical drives to recover deleted data files. Click on 'Next' button. 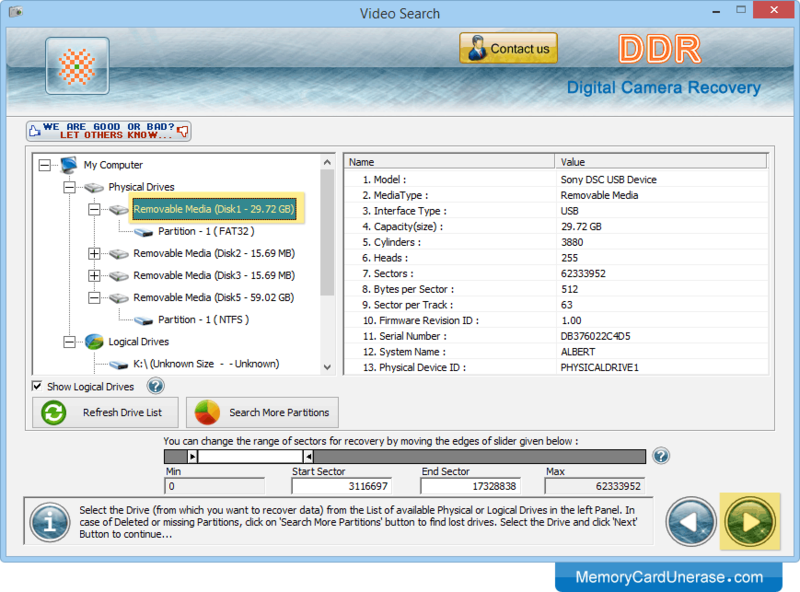 Now, go to the 'Browse' button to browse the path where recovered files will be saved by DDR - Digital Camera Recovery Software. 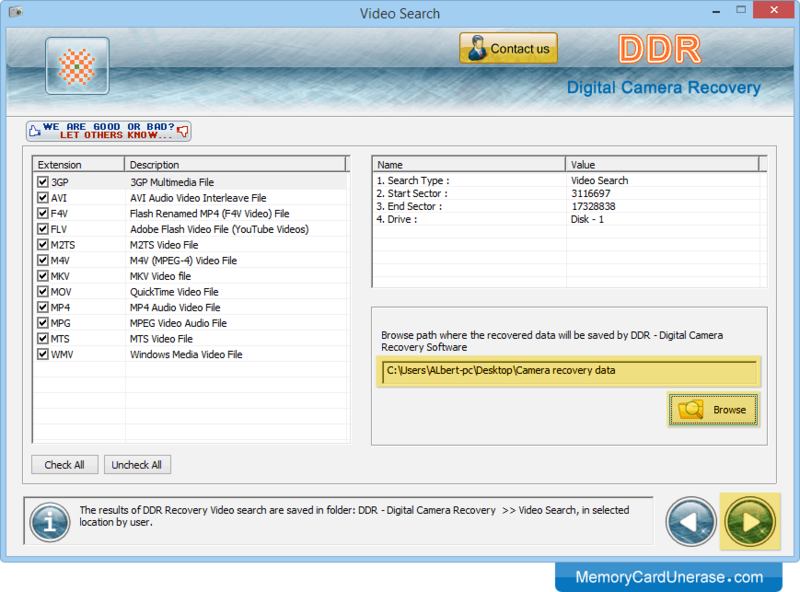 Here, you can see the current running status of file searching based on DDR General Video Recovery Procedure. Data has been recovered successfully. Open containing folder to view recovered files.